First post of the year! Of course it has to be weather related and running in really cold weather! Temperatures and weather has not really been kind to us here in NJ, but hey it can be worse. We are not living in Maine! I always try to complete all of my runs outside and for this year that equals a lot of layers of clothes! 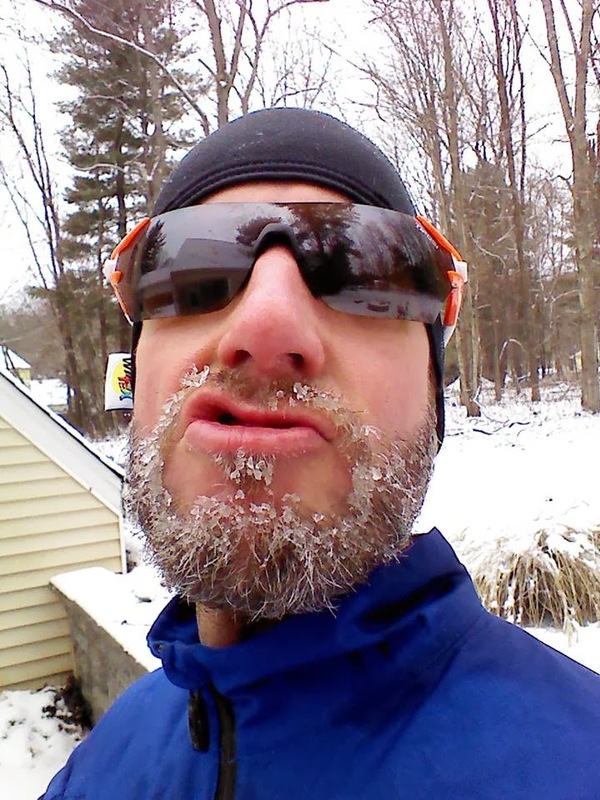 This blog is a sum up of how I dress before a really cold run! Head: As head wear I use a beanie from Gore with wind protection in the front. On really cold days I add an extra headband, also with wind protection to keep my head warm. Sunglasses gives a great protection of your face and eyes. On really cold runs I use a Buff to cover my face and neck, but you might also want to try a face mask. Friends of mine has recommended a face mask from Under Armor. Upper body: Its so easy to over dress and get to warm during your run. It is ok to freeze the first couple of minutes of running, but once you get going your are going to get warm. I usually use base layers from CRAFT of Sweden, to me they are outstanding and has always kept me warm and dry. Cold days I use two layers of CRAFT and a weather proof jacket from Sugoi, not to heavy just enough to break the wind. Yes Craft is expensive but they will keep you dry and they last for decades. Hands: I have really cold hands and I cant take a run with cold hands. I always double up on the layers on my hands. Really cold days I use Gore Tex mittens with a wool liner glove. This solutions has kept my hands warm even on the coldest days with really stiff temperatures. Milder days I use a windproof glove from Sugoi. Legs: I hate to repeat myself, but the trick is really to use layers smart and keep the winds away from your body. Again I use base layers from CRAFT of Sweden, together with wind proof underwear from Asics or New Balance. As for the tights I use a really old pair of Nikes with Wind proof front. This solution is for really cold days. Milder days it might be enough with just the wind proof underwear and a pair of thinner tights. The All Weather models, GoRun2, GoRun Ride2 and Bionic Trail has been used in pretty nasty conditions. All from heavy rain/snow and temperatures down to real feel -2. On a really cold days you want to keep the winds away from your toes. If you use a shoe like Skechers All Weather and a pair of really nice wool socks you are good to go, I have been using Elite wool socks from Feetures!. So far my toes has been toasty and warm. If you want to add some traction on a snowy day, the Bionic trail is the shoe to pick. 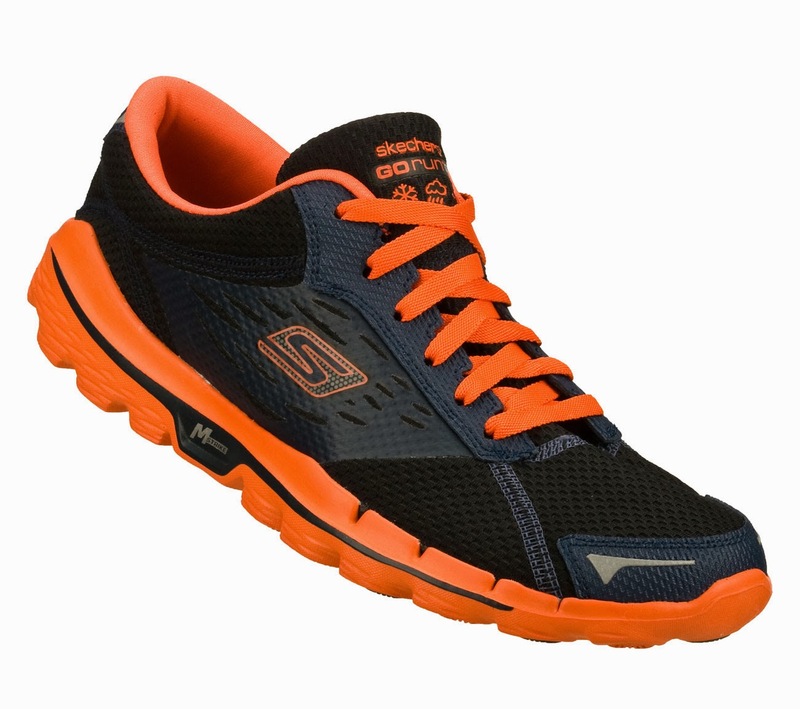 Although its a trail shoe it works really well on the roads and gives you great traction on the snow. The All weather protection keep your feet dry in most conditions but if you stay out for 60 min+ in heavy rain, no shoe in the world will keep your feet dry. The All Weather mesh is not as stretchy as the regular GoRun mesh but it does wrap your feet really well. The feeling is the same as the original GoRun series.